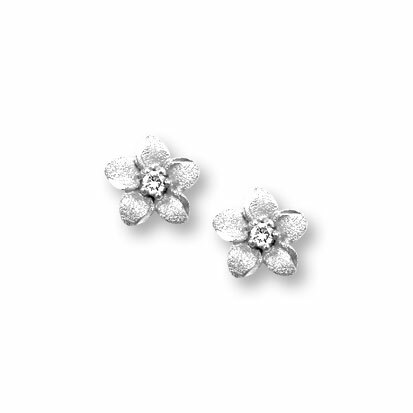 Genuine diamond gemstones each set in an exquisite gold flower setting - each diamond is .02 ct. with a .04 ct. tw. (carat total weight) for both diamonds. Also available in without diamonds.